Cooler weather is on the way, and I am looking forward to it! One of my favorite things about cooler weather is being able to dress the Attic Baby in adorable outfits and accessories. And what could be cuter than a baby hat? 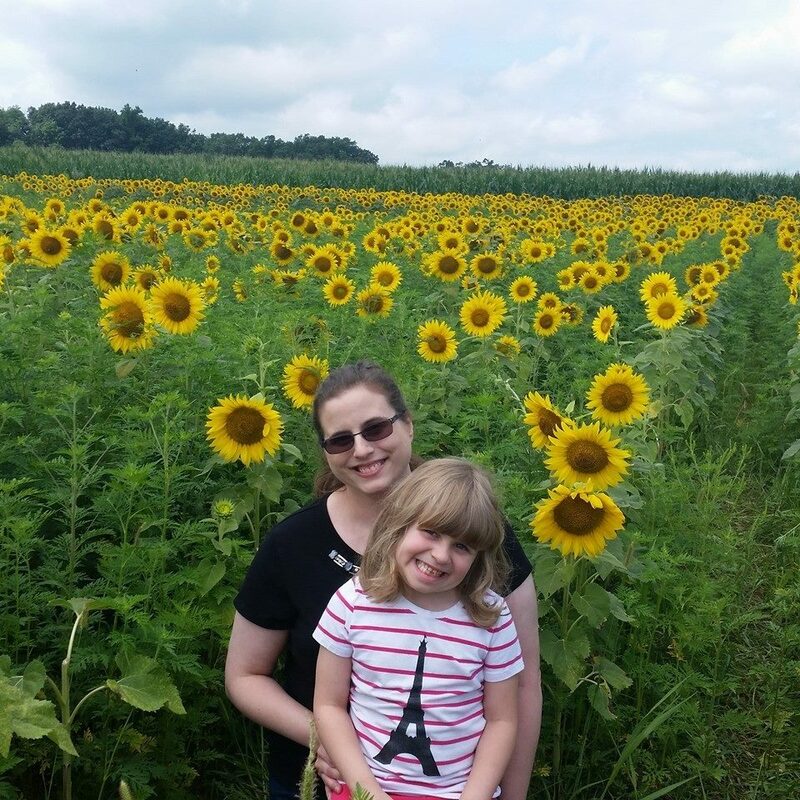 What do you get when you add together a crocheting husband, a stay at home mom, and a growing family? For us, Beanie Designs was the answer! Not many ladies can say their husband taught them to crochet. Well, my wonderful husband took the time to teach me the intricate art of crochet, and I have been addicted ever since. At first I crocheted to relax. Then I became obsessed with crocheting adorable little hats and blankets for my daughter. Soon I realized the total satisfaction of sharing my one-of-a-kind creations with other mothers, and Beanie Designs was born! Now we carry a wide selection of adorable baby hats, all handmade with care and exceptionally soft yarns. I have assembled a team of talented artists both here in the U.S. and also in China to keep up with demand for our sweet baby hat designs. They all share my vision: to create the most beautiful baby hats around, each handmade with love and an eye towards quality and perfection. I am proud that Beanie Designs is also able to help enrich the lives of other stay-at-home-moms who love to knit, both here and in China. Our knitters are primarily work-at-home-moms (and some dads!) who share our devotion to creating sweet baby hat designs. In China, our production is overseen by a husband and wife team from England who are helping bring well-paying jobs to parents who knit at home to support their families. We provide training in our proprietary knitting techniques to help build skills for all our knitters and ensure consistent quality across all our products. From the dreaming stage of design to the hands-on process of creating the beautiful beanies, every baby hat we offer on this site meets our uncompromising standards for quality of material, aesthetics and comfort in the design, and superior construction. Crocheting is more than a hobby or even a business to me. It is a passion, and that passion comes across in each special hat I offer you and the way we run our company. I look forwarded to crafting a special hat just for you and your baby, and serving you with respect and integrity. On behalf of all of us at Beanie Designs, thank you for helping our vision come to life. I chose this beautiful Visor Beanie Hat for this review. It is great for different seasons, and since weather here can vary in the fall from warm to chilly, it is just perfect! It has a cute little visor and a pretty flower accent. I love the fact that it is 100% cotton, machine washable and is soft to the touch. There is nothing like having a hat that is scratchy and uncomfortable; this is nothing like that. Doesn't she look adorable? This is available in Sizes from 0-3 mos, 3-6 mos, 6-12 mos, 12-24 mos, and for older children 2-4 yrs, and 5T-preteen in various colors. I would recommend sizing up a bit, since she is 8 months and is wearing the 12-24 month size hat. They also have a recommended sizing chart. GIVEAWAY: One of my readers is going to win a hat of their choice! Just use the Rafflecopter form below to enter. This is open to US residents 18 and older only. Disclosure: I received one or more of the products or services mentioned above for free for the purpose of review. Regardless, I only recommend products or services I use personally and believe will be good for my readers. The sponsor is responsible for shipping this prize to the giveaway winner; I will not be held liable for any lost or not received products. 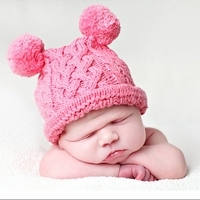 10 comments on "Beanie Designs Baby Hats Review and #Giveaway"
I would choose the Pink 2 Pom Hat! I love the Organic cotton pink two poms hat! I love the organic cupcake hat. I would choose the organic cupcake hat in 12-24 months!